I long for them . I’ve had them this summer but no more … so I have to recreate them. 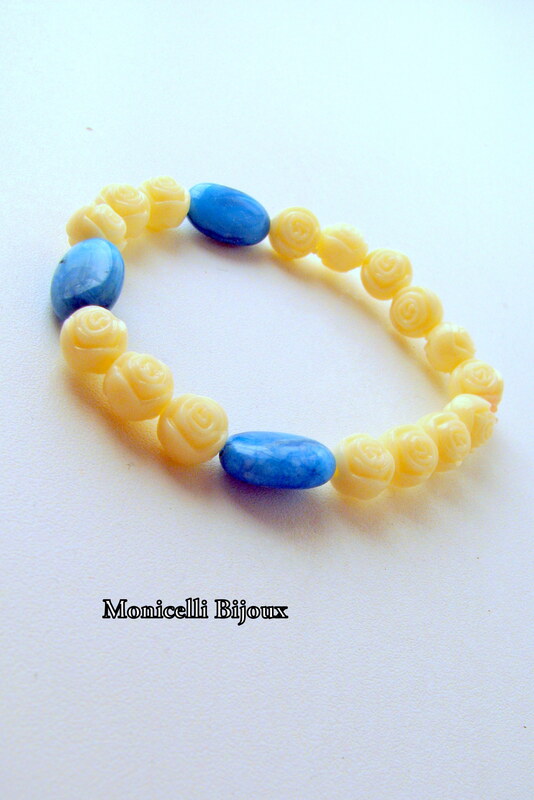 Hands are helpful, creating a bracelet of buttery small roses, 3 crazy lace agates, beautifully ranged on an elastic thread, to contrast vividly with tanned hands of spoiled mistresses. Ma topesc dupa ele, le-am avut ale mele in cvara asta, dar s-a terminat … asa ca le recreez. Mainile ma ajuta, creand o bratara realizata din trandafirasi mici de culoarea untului, 3 agate crazy lace bleu, insiruite armonios si contrastand cu maini de domnite bronzate.